James Wan has a developed quite a knack for scaring the bejusus out of audiences with genre that have been done to death. Fresh off the success of The Conjuring )which is still playing very successfully in theaters now and also stars Patrick Wilson) we already get to see the trailer of his next offering Insidious: Chapter 2 which is his follow up to the 2010 hit, teaming up with writer Leigh Whannell who had also worked on Saw. It should be a criminal offense not to watch everything Rose Byrne is in but even more so James Wan knows his classic horrors and has a tight grip on scares making this a very effective trailer. The famed horror team of director James Wan (Saw and The Conjuring) and writer Leigh Whannell (Saw), creators of the original Insidious in 2011 are back with Insidious Chapter 2, a terrifying sequel to the acclaimed horror film. With Josh (PATRICK WILSON) and Renai (ROSE BYRNE) coming to terms with the death of parapsychologist Elise (LIN SHAYE), the Lambert family move into grandmother Lorraine’s home (BARBARA HERSHEY) while the police investigate the bizarre incident.However all is not well as Josh and Renai continue to experience the demonic forces that are set on turning their lives to chaos. With Josh’s increasingly odd behaviour following his return from The Further, Renai and Lorraine are forced to seek help from Elise’s paranormal investigators to protect their family and uncover the truth to why this dangerous spirit world still haunts them, they soon learns the shocking reality……Josh didn’t come back alone. The renowned horror duo join forces again with producer JASON BLUM (Paranormal Activity) to take you on another mind-bending and chilling journey into the world of the unknown. 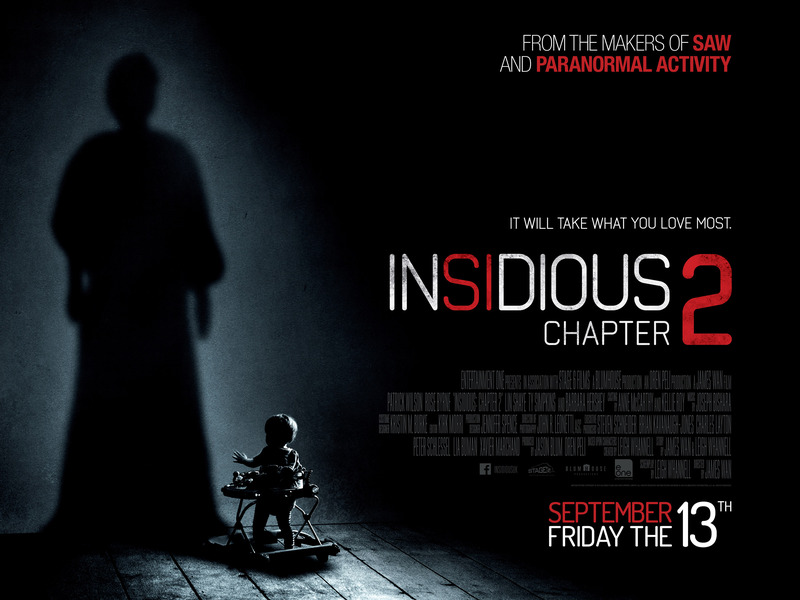 Insidious: Chapter 2 releases to UK cinemas on 13th September 2013. Brilliantly laugh out loud Rom-Com with a perfect 50/50 blend of British bad gags accompanied with warm fuzzy lovely scenes between the unlikely (and obviously likely) couples. 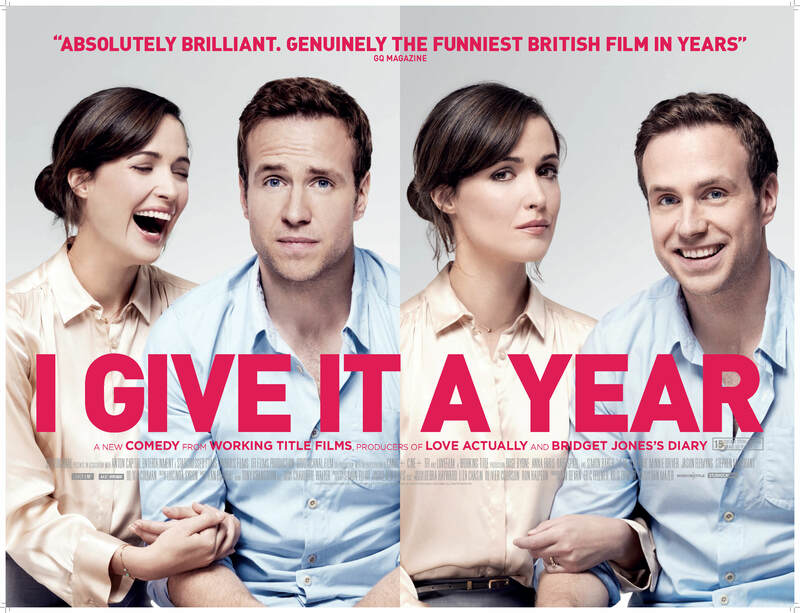 Overall the cast was perfectly handpicked for this movie (Rose Byrne, Rafe Spall, Anna Faris, Simon Baker and Stephen Merchant) , which was scripted in a way that offers cringe, funny, witty and smug moments to tickle your emotions. The films starts off with a sped up whirlwind romance – cue the lead actress and actor (Rose Bryne & Rafe Spall). The scene skips to their marriage and the best man’s (Stephen merchant) speech that is cringingly awkward but very amusing to watch. Cracks beginning to show in their relationship on the wedding day with the differences of bride and groom massively exaggerated. She is a slick looking, a bit uptight professional striving for romance, and a charming gentleman as a husband. Through the course of the films you see the downs and downs of a marriage between the two and you are sit there thinking – “how did they ever get together in the first place”. It then becomes apparent they are not made for each other when hunky client Guy (Simon baker) and hippy ex-girlfriend Chloe (Faris) are introduced so soon in the film. With Ying and Yang couple developing twinkly starry feelings with their perfect matches they start to grow distant from each other – It’s as though Nat and Josh has split personality disorder the way they interact with each other compared to their love interest. In real life – this story line would seem quite sad when you are growing distant from someone you just married – but cameos from Minnie Diver (Nat’s sister) and other family members makes it all the more comical as it there are some painful but hella funny situations Josh gets into with his in laws. (One to watch here is the game of charades, which was shown in the trailers.). It’s not all bad as there are moments where we can see the desperation with Nat and Josh to make it to a year and compromise with each other’s bad singing, bad dancing in order to “stick to it”… and just when you think you know how the movie ends – you got it- predictable! But with a twist which I won’t spoil for you. 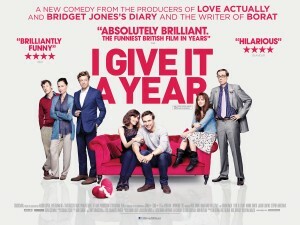 I Give It A Year is in theaters now! This is a guest post by our corrrespondent Lin who you can follow on twitter @Lin_To. Get him to the Greek is releasing the 25th in UK, there’s a quite a few favorably reviews coming from the US where the movie opened up to moderately good numbers. Altough viral video‘s are nothing new in the arsenal of movie marketeers, I wanted to post this asÂ I do have a fondness for Russel Brand even though most English have now started despising him. But then again I’m not English.